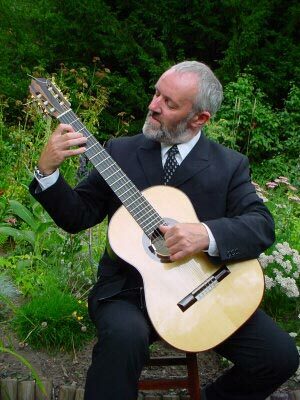 This Aberdeen classical guitarist has a wealth of experience in performing classical guitar at a wide range of events throughout the North East of Scotland and as far afield as Inverness and the Central Belt. 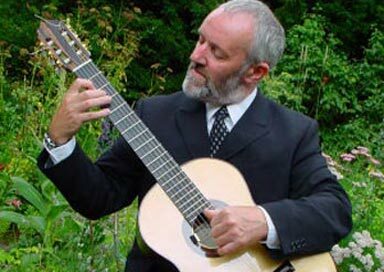 He also provides music for Restaurants, Weddings, Corporate Events, Private Functions, Garden Parties and Themed Evenings (Medieval Banquets, Spanish, South American, for example), and also gives recitals at National Trust properties and private Concerts. A range of high quality and discreet amplification is provided according to the situation. Whether you are planning your wedding, a corporate event, a concert party, or background music for a special occasion you can be confident that the music will be just right. This guitarist also has the option of a battery amplifier which is very useful for outdoor bookings. Popular such as Cavatina (theme from the Deer Hunter), Romance, Braveheart, Lara's Theme, Titanic, Ave Maria. If advance notice is given, he can usually arrange music which you have requested and is happy to meet you to discuss your preferences and requirements.